With the Cubs facing an 0-2 hole heading into tonight's Game 3, NLCS ticket prices are Wrigley Field are the lowest of the past 3 years. 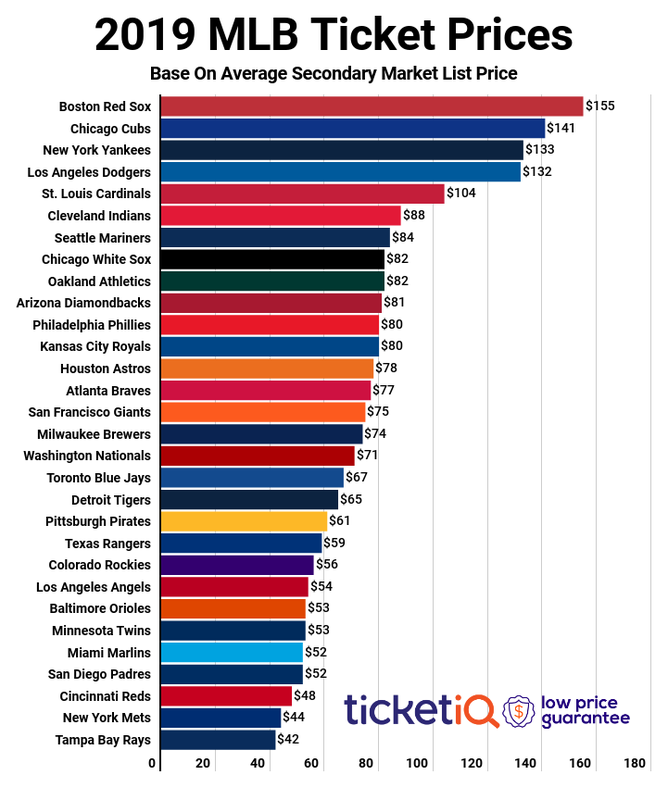 Below outlines the cheapest ticket available on the secondary market from TicketIQ.com for each of the Cubs NLCS home games. Tuesday & Wednesday's games vs the Dodgers actually start at less than HALF of the starting price of the Cubs first two home games vs the Dodgers in the 2016 NLCS. Despite facing a similar 0-2 hole heading home in the 2015 NLCS, tickets for 2017 once again cost less than half price than they did historically. If the Cubs can advance, it'll be their first back-to-back World Series appearances in over 100 years, last accomplishing the feat with a back-to-back-to-back run between 1906 and 1908.